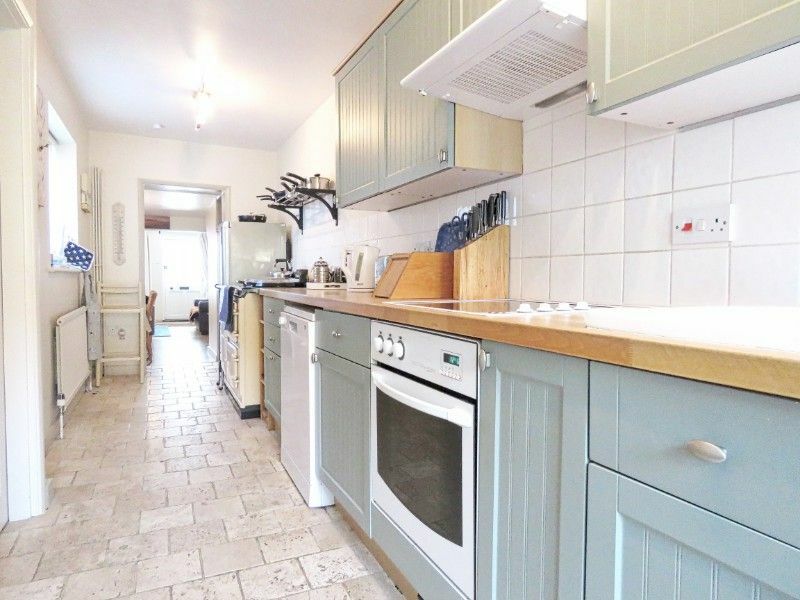 Kitchen: The natural tiled floor runs throughout this well-equipped fitted kitchen, featuring a night storage Aga (maintained at a low temperature and not for cooking), built in dishwasher, fridge, halogen hob with electric oven and a washing machine. 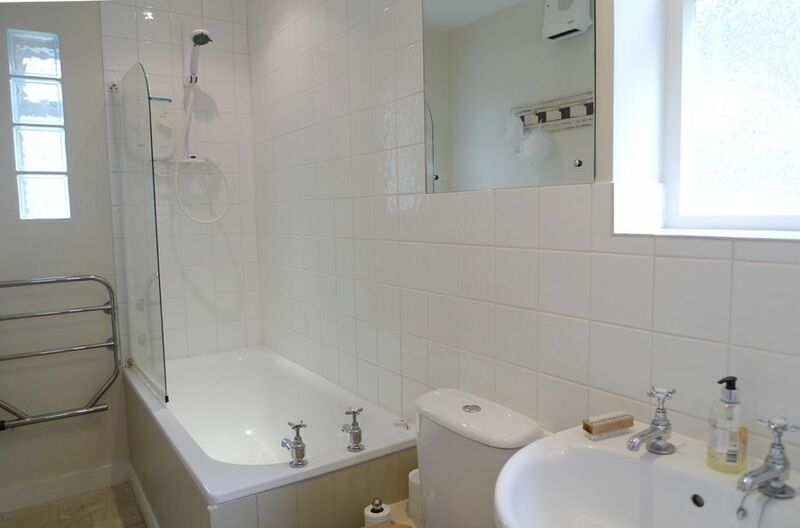 Bathroom: With a natural tiled floor, bath with electric shower over, hand basin, WC and chrome heated towel rail. 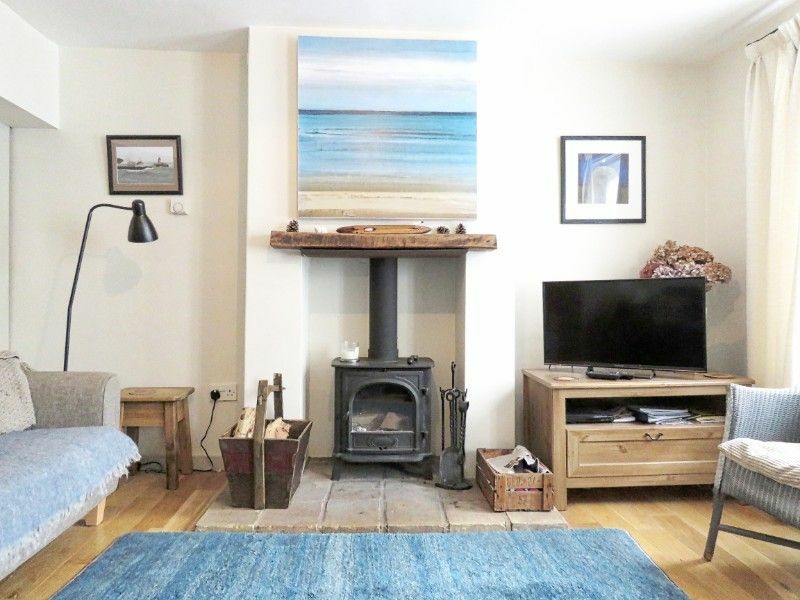 Living Room: Light and spacious room with wooden floor, two sofas, wood-burner with logs supplied for your stay, TV and DVD. The dining area has a table comfortably seating 6. 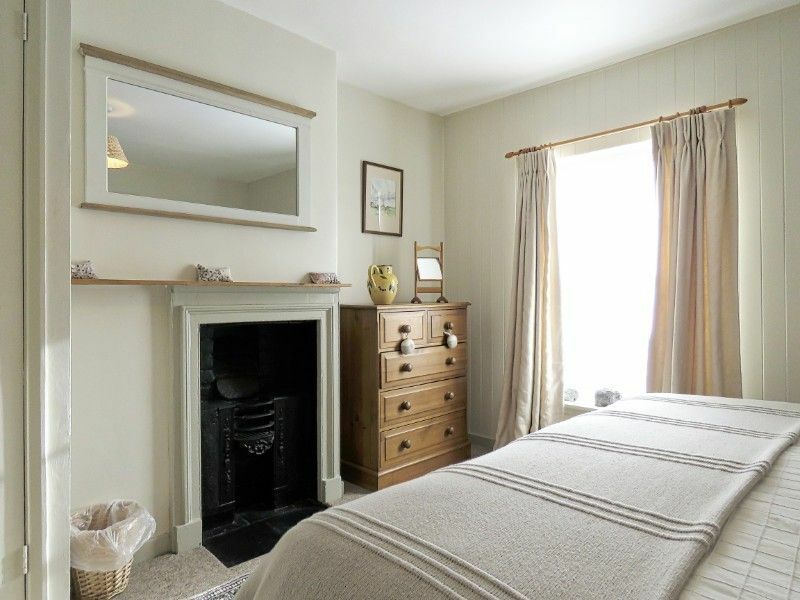 Bedroom 1: Super king-size bed, fitted wardrobe, bedside tables and lamps, chest of drawers and fireplace. 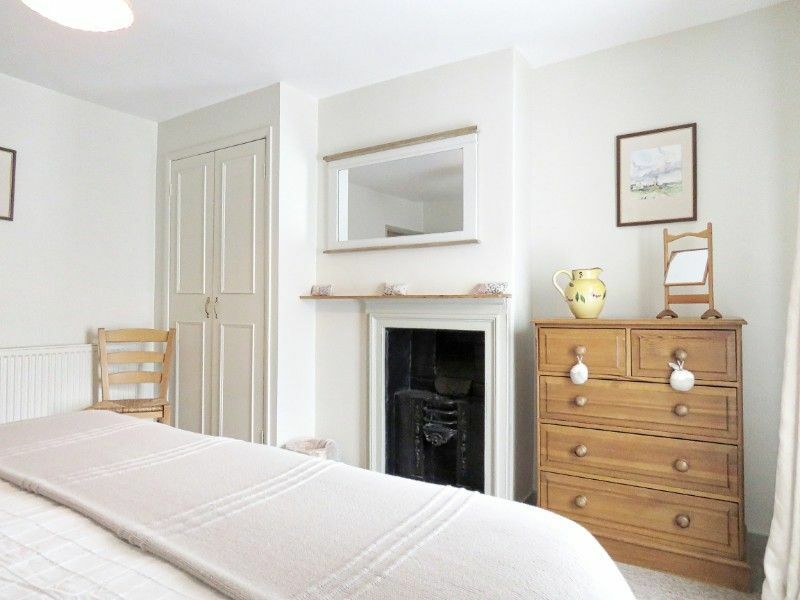 Bedroom 2: Twin beds, chest of drawers, bedside table and clothes hooks. 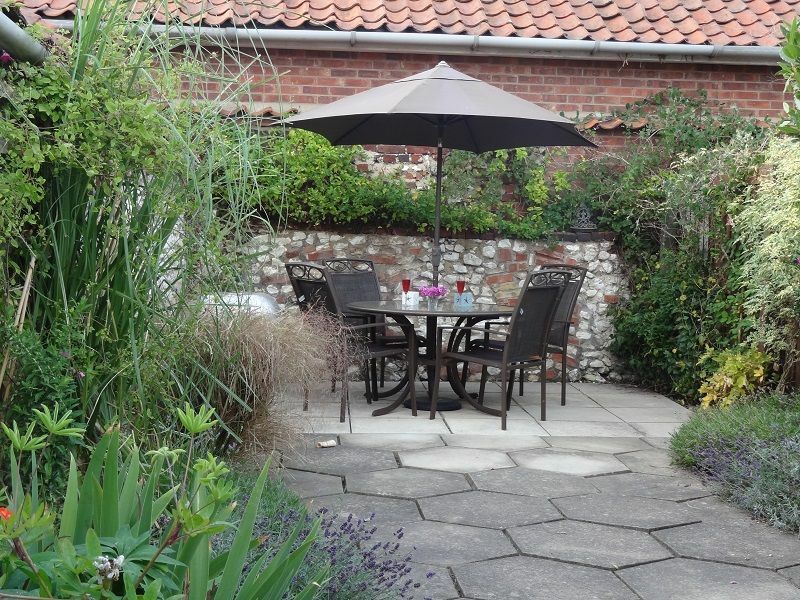 The cottage courtyard garden is fully enclosed and private, with patio furniture to seat 6 - there is also a barbecue. It’s the third time at this property and we have booked for 2019, that says it all I think ! 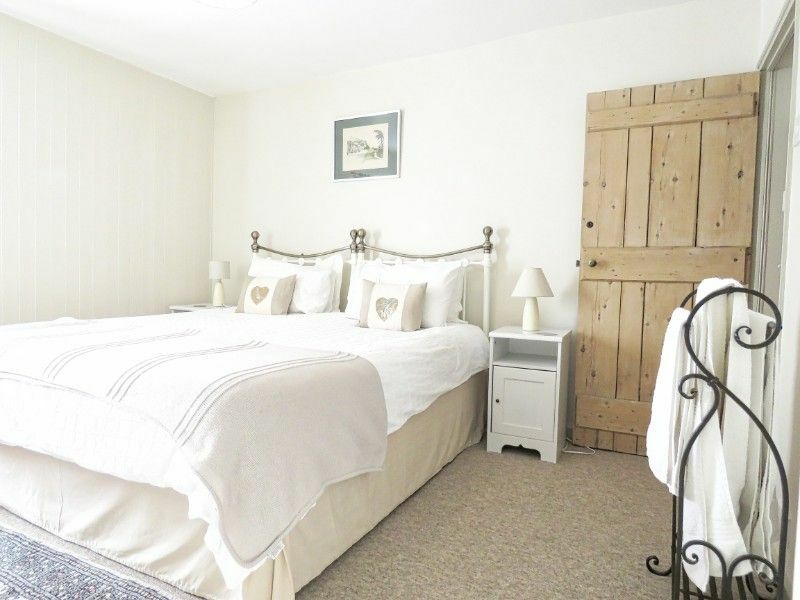 Rose cottage is delightful, so cosy and welcoming. We came for some R & R and found the perfect spot. Thank you. 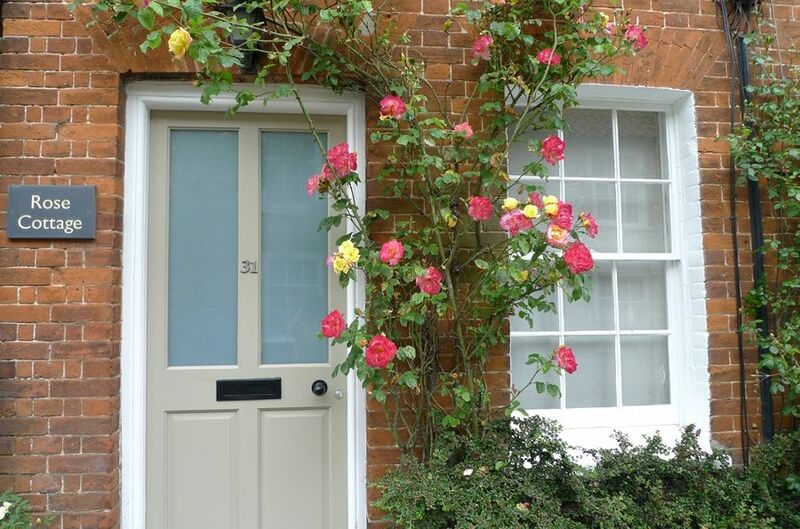 Another truly wonderful stay in Rose Cottage. Ollie loved the beaches and little bears in his room. We will be back of course. We have had another delightful weekend - cold and crisp outside plus wonderfully cosy inside. 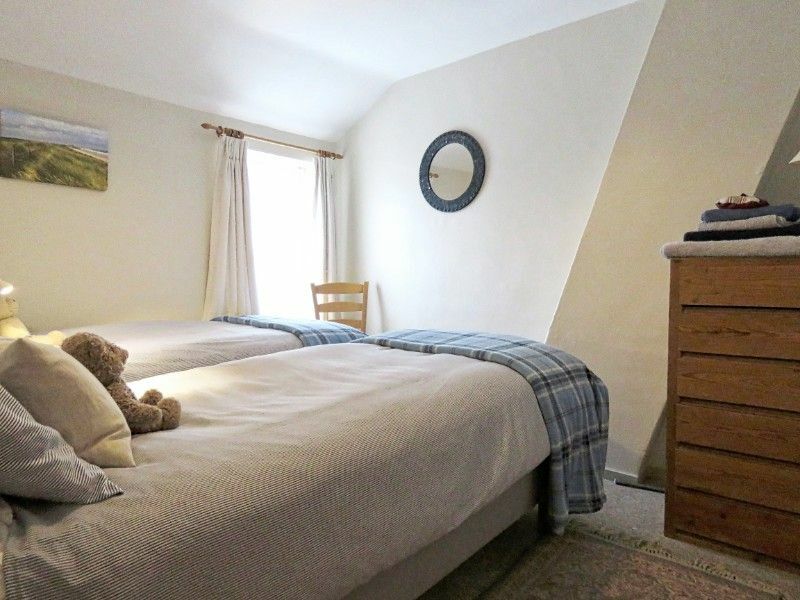 Comfortable days and nights in the lovely cottage. Another wonderful stay in Norfolk. Enjoyed every minute!! We have really enjoyed our stay at Rose Cottage. We went to the grabber in Wells and won lots of toys. We went on a boat and we sailed it. We also did some fun Halloween activities. We loved our stay. 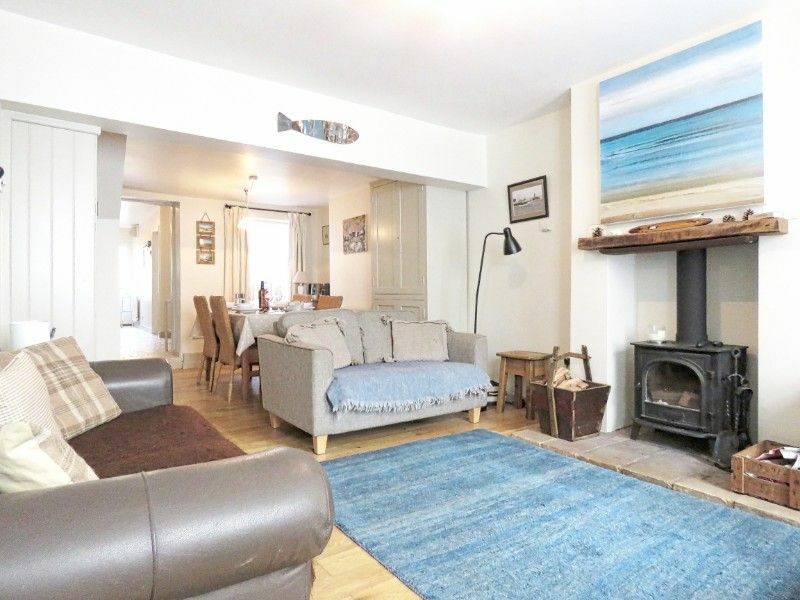 Lovely cottage, very well equipped and a great location for all the shops, beaches, restaurants/pub. Highly recommend the Duck at Stanhoe. 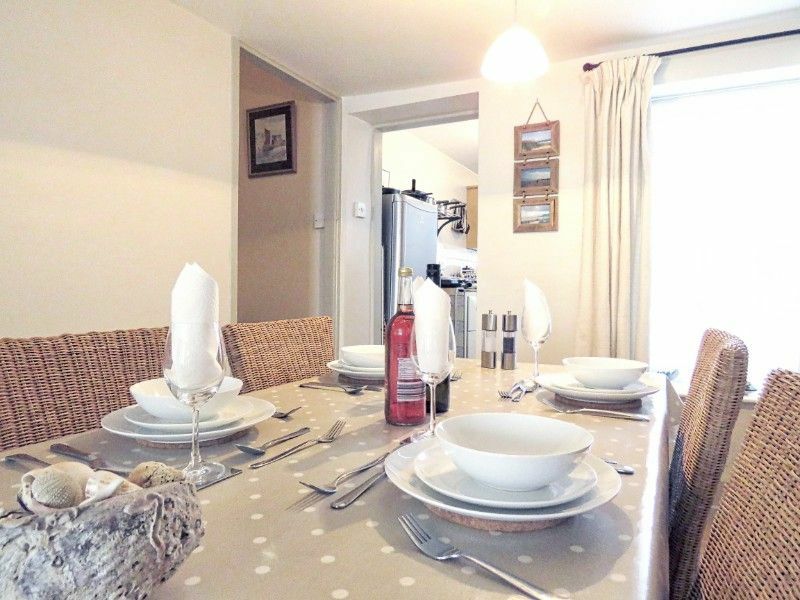 We really enjoyed our stay in Rose Cottage and would recommend it to others. We enjoyed our stay at Rose Cottage very much, thank you. It would not be our last stay in Norfolk. 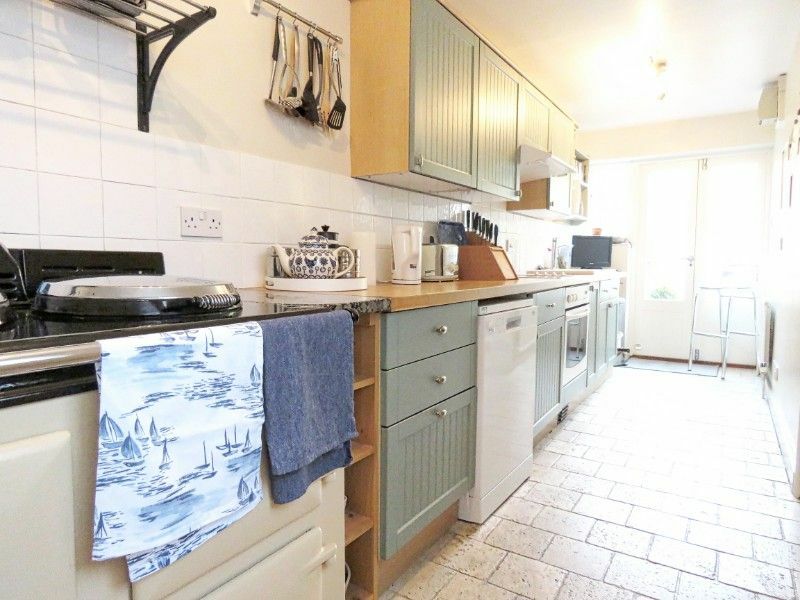 Lovely cottage very well equipped. Great beds and lovely patio. First time in Norfolk - its lovely. Burnham Markets fabulous. We all had a lovely holiday and will be back. Thank you. Very comfortable cottage. Had a great holiday. We thoroughly enjoyed our first visit to Rose Cottage. 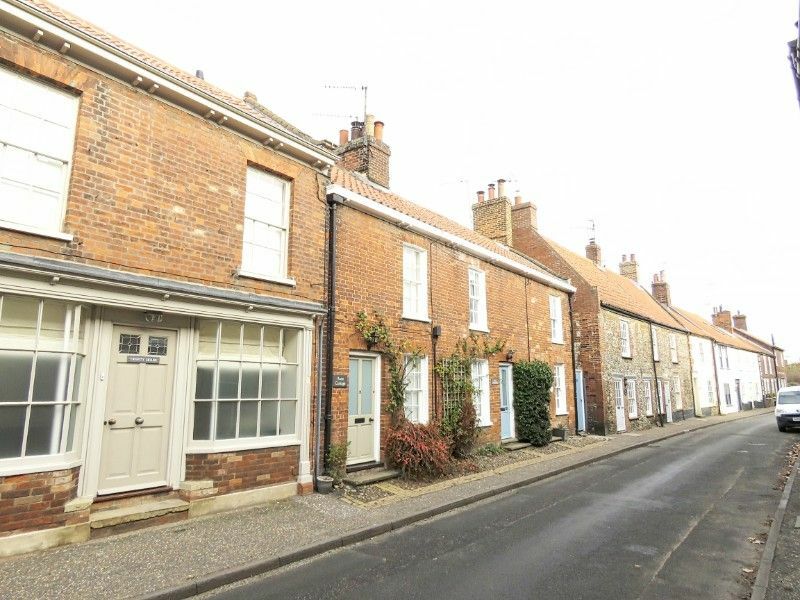 It was comfortable, cosy and all we could need for a short getaway to the North Norfolk Coast. We will be back. 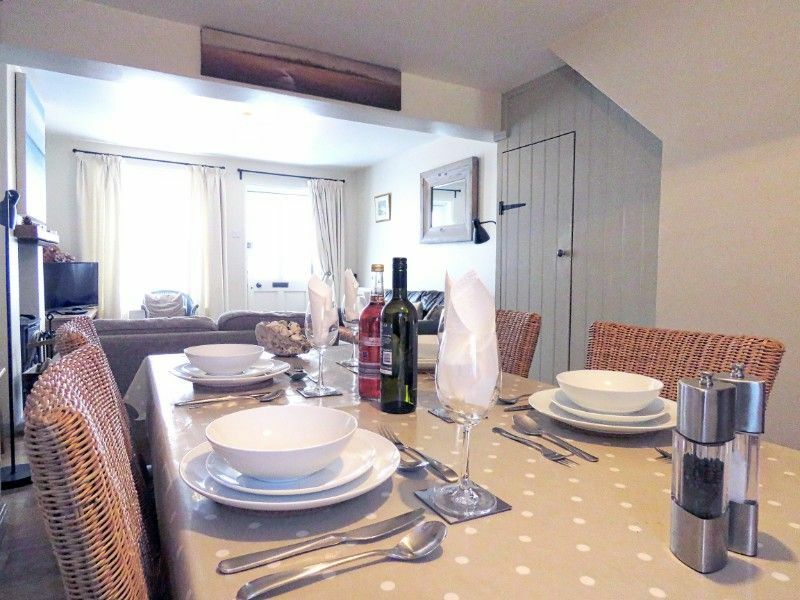 Gorgeous cottage, perfect for our get together! 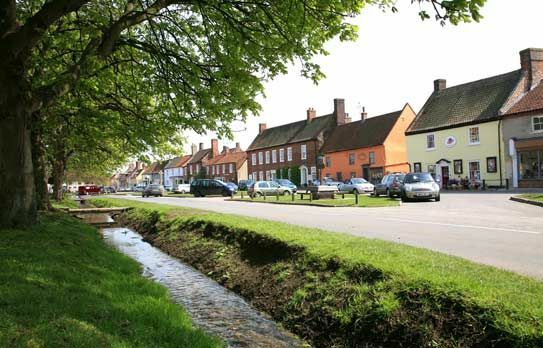 Pubs can be recommended for breakfast, lunch and dinner and lovely to sit out and enjoy the sun on the patio. Thank you.